Oscar Wilde said it best: "Be yourself; everyone else is already taken", and well, nobody can accuse Santigold of being anything but herself. She has often been the exception to the 'rule' of pop music, and she loves it, thrives in it. It's why "Can't Get Enough Of Myself" can only be something that Santigold can sing as it's a song that truly fits her aesthetic to color furiously out of the lines and be damn proud of it. 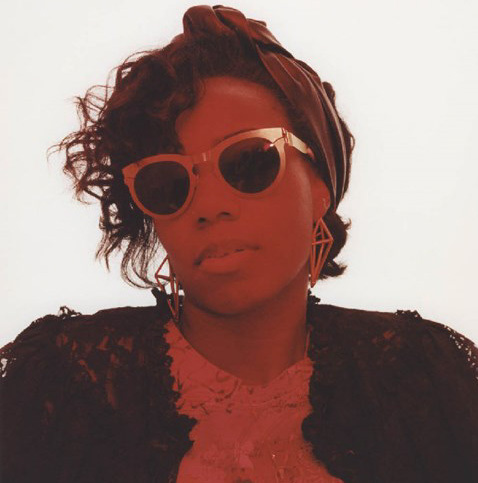 "Can't Get Enough Of Myself" is also the perfect song to re-introduce Santigold again. It's been a long time since she's left us a dope beat to step to (the dismal "Radio" just wasn't cutting it...) and this jubilant joint fills the silence nicely as it grooves like a '60s beach blanket bopper, brimming with whistles, peppy synths and braggadocios swagger that feels oh so Ms. Santi White. It's a self-love anthem that sips vanity through a straw --- a real thin one. "Everything is a product at this point, including people and relationships, and everything’s about marketing products. So, I’m a product. And also, everything is undervalued, so I thought 99 cents is a good price for me and my life and all my hard work." 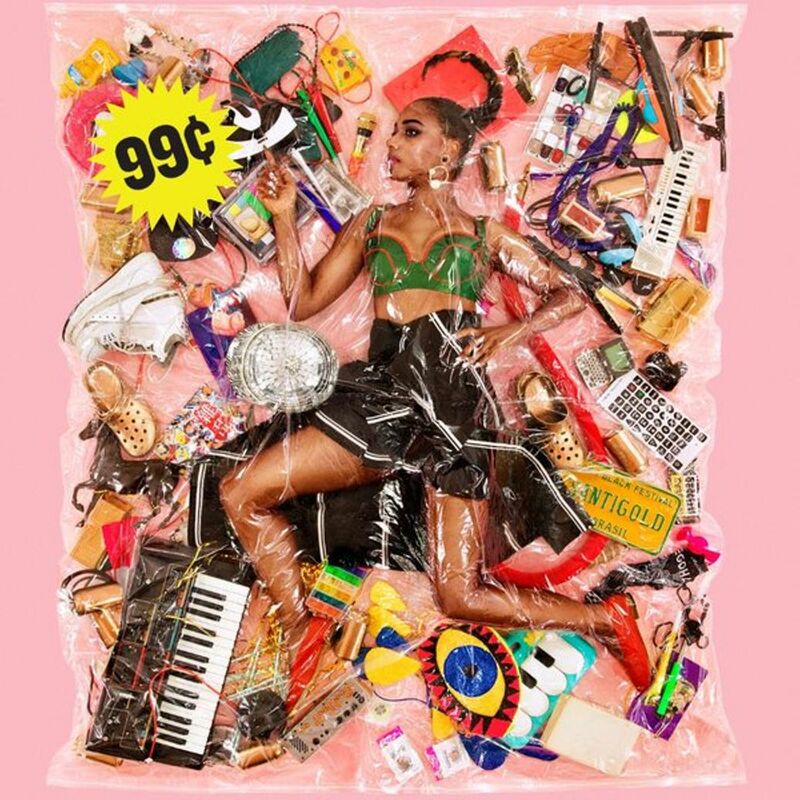 After viewing the glorious album cover (which features Santigold wrapped in shrink wrap surrounded by an assemblage of knick-knacks that the singer describes as the "random clutter of her life") the idea makes sense, especially considering these commercialized, scheme-filled times we live in. Still I don't think Santigold should sell herself so cheap as there is nothing plastic or gimmicky about her, and never has been. Still, it makes for a great cover doesn't it?